I was determined to get some writing done while I was on vacation. The biggest question was how to accomplish that when I had limited luggage room and knowing I’d have no power outlets available in the middle of a forest. I ruled out my laptop immediately. Two hours of battery time wouldn’t be enough to get much done. I considered using my phone but I was put off by the small screen. Even writing notes to myself on a phone seems too hard sometimes. I also knew that I would be using the phone to check emails and keep up in a limited way with social media. All those things also drain power, so adding another power-hungry app to the phone didn’t seem like the best idea. The best option, and the one I settled on, was to use my tablet for writing. It’s wi-fi only, keeping me from the distractions of the internet while saving power at the same time. Because I type faster than I can freehand write, I ordered a bluetooth keyboard to use as well. Since my tablet is a few years old, I didn’t have all that many choices when it came to finding a compatible keyboard. My advice now is to order any accessories you even THINK you might want for your devices within the first year after purchase so that you have the best selection. 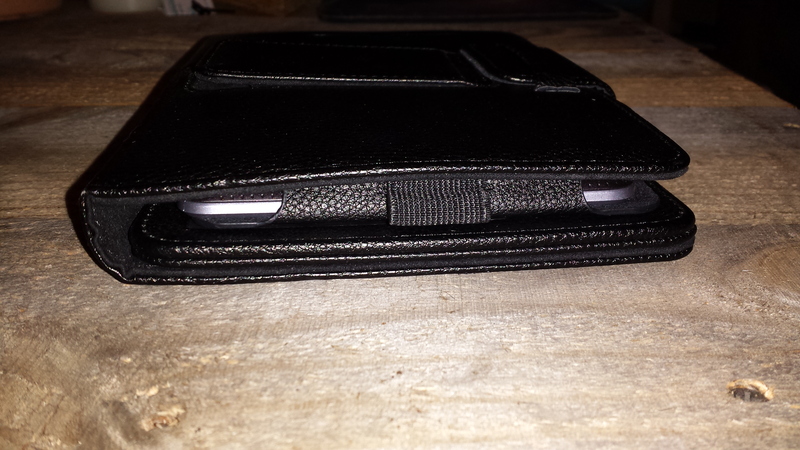 I settled on the Minisuit keyboard stand case – a black, faux leather case and bluetooth keyboard package. Typing on the keyboard took a little bit of getting used to. It’s fairly small, so anyone with large hands will have trouble fitting their fingers on the keys. My hands are small sized, and after getting used to how close together the keys were squeezed, I was able to recover most of my typing speed. 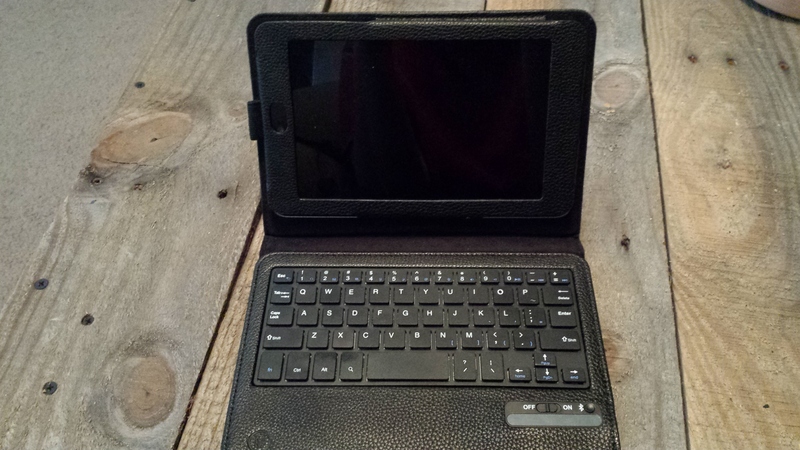 One other concern I had was how much power the bluetooth connection would use – both on the tablet and on the keyboard, which had to be charged up too. I didn’t do any empirical testing, but the bluetooth connection didn’t seem to use much extra power at all. 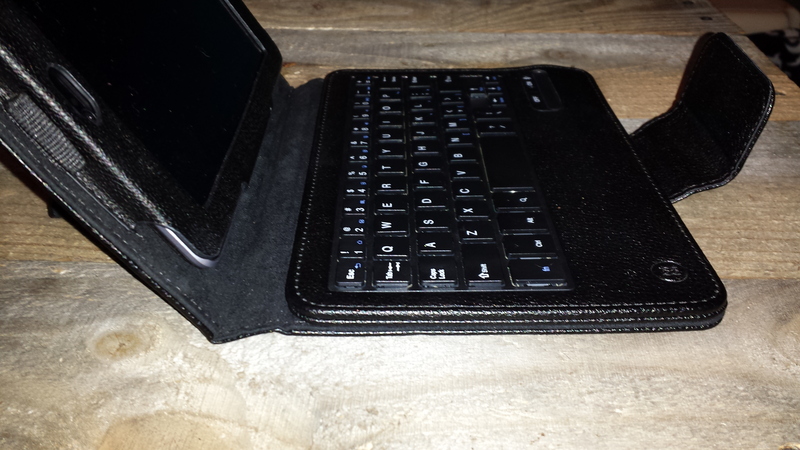 My miniscule recharging abilities were able to keep both the tablet and the keyboard powered up. I still prefer a laptop to write regularly. 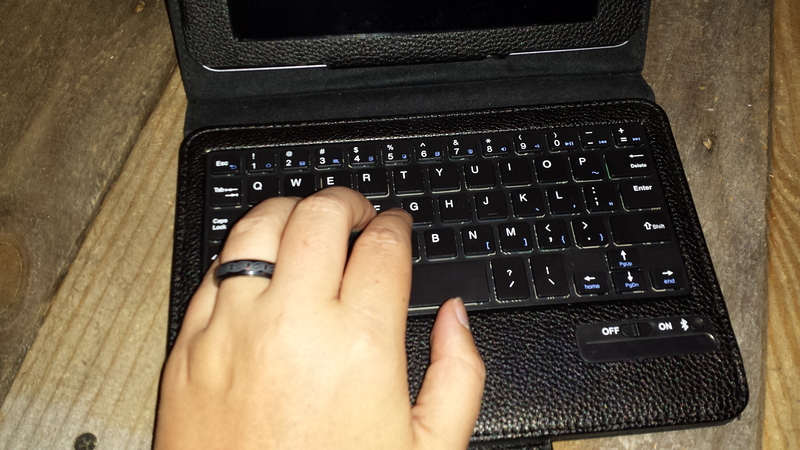 But I was surprised at how easy it ended up being to get writing done on the bluetooth keyboard and tablet combo. I won’t have any hesitation about taking them on my next trip. Do you have a favorite tool for writing that you’d like to share with others? Send me an email and let me know you’re interested in doing a guest post. My Saturday View – Happy Birthday, Dad!